Singaporeans are becoming a little bit savvier nowadays when it comes to choosing a credit card particularly if it revolves around cashback or rewards cards. A survey conducted in 2016 to double check credit card satisfaction revealed that 52% of the cardholders primarily chose cashback credit cards due to its generous cashback while 36% of the number preferred the credit card with the reward programme. However, people have various opinions about the two programs and it can be quite challenging to determine which option is the best. Before picking on any of the cards its proper that you look at the best and most promising traits that work best for you. To help you with your elimination process, we gathered a few points for each of the cards so that you can choose and decide the most appropriate. For money enthusiast, this is quite compelling. Based on their name; cashback credit cards offer cash each time you charge any purchase to the credit card. It works straightforwardly—whereby every time you meet the T&Cs, a relatively small percentage of your monthly expenditure that was spent on that credit card is reimbursed to you, and you can use the amount to do anything you want including paying bills, offsetting the next month’s credit bill and many more. One of the popular features of this card is that it allows you to spend and save at the same time—you cannot earn if you don’t spend. 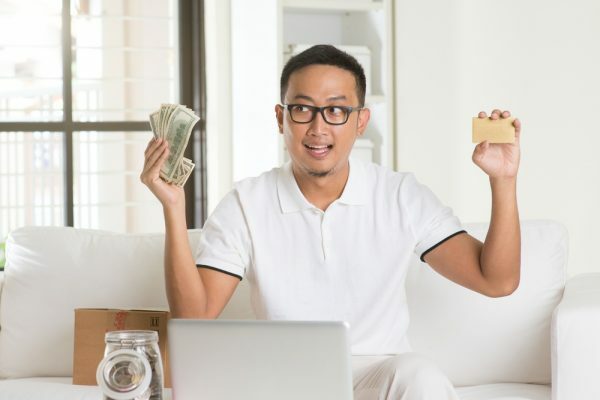 In Singapore cash back are given credit at the convenient stores, supermarkets, department stores, petrol stations and other primary shopping areas that you can shop for your basic needs. Some cards even go ahead and offer generous rebates for entertainment and dining. If a considerable amount of your monthly budget goes for dining or entertainment, it would be wise to apply for a card that includes the two. Naturally, cashback awards you for shopping or dining at local stores, but in some individual cases, you may get rewarded for shopping at various specific stores. The POSB card gives its cardholders a 5% off nearby supermarkets, 5% at fast foods and food courts, 10% rebate online food orders, and a whopping 20.1% on fuel saving at SPC. This card essentially makes it possible to save on various basics like fuel,food and groceries. If you are that impatient type of individual who cannot wait for long periods on end to redeem a vast number of points for a serious gift; then cashback should always be your ultimate choice. Cashback is credited to you every month like a monthly salary if you meet the conditions. There is a minimum threshold for each month before you can begin earning. There is also a limit of how much you may win in a month which is a maximum of S$80. While this is dependent on the kind of cashback card, most credit cards offer varying amounts for both weekend and weekday spending. For instance, the Citi Cashback offers an 8% cashback on all restaurants and supermarkets all over Singapore as long as your monthly expenditure exceeds S$888. In addition, cash back on fuel, dining, and groceries is capped at S$25 every month in each category. Therefore, it’s quite crucial that you find out the minimum monthly spending and ensure its an amount that you can easily hit. Overspending or straining your budget just to hit the minimum threshold simply defeats the purpose of cashback. Rewards type of credit cards works by letting you rack up points on every spend on the credit card. You can then redeem the points for dining vouchers, air miles, and travel vouchers. These kinds of cards are best for individuals who appreciate going out and shopping generously. If you’re that type of person, here are some other features of this system. Unlike cashback, these cards give points for shopping on luxuries. From their name, rewards credit cards work by rewarding you for spending. They spoil you with small luxuries and little treats once you have accumulated the minimum points to redeem something of some value with the rewards partners. With rewards credit cards you don’t just win points but also enjoys exclusive offers that are unique to the cards. This may include free movie or luggage tickets, first free waivers, and department store vouchers for every new sign up. For instance, the Standard Charted rewards card currently gives you 1-for-1 platinum movie suites tickets partnering with Cathay Cineplex. Sometimes it’s essential to do the math when choosing what to go for. Think of the situation this way, would you rather have something quite tangible in hand such as physical product or voucher or some S$20 in your pocket for the next bill? Remember that some of these premium products can be redeemed through rewards some of them include exclusive shopping vouchers, cinema tickets, hotel stays and many more. Look on the other bright side of it, that you will have something to remember or an experience of a lifetime genuinely free. With rewards cards, you have to spend lots of dollars for you to ever redeem something of value. Always check the number of points you have and find out the number of things that you can redeem them for. Redemptions are apparently specific and vary according to products and services, how attractive each one is, the bank’s reward catalog and the partners. Similarly, you need to spend big within the limited time frame and claim additional bonuses and welcome gifts. If you wanted to convert your points to air miles, you would need to pay a small conversion fee.